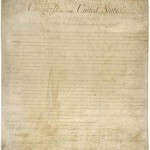 With everyone arguing about whether or not religion has a place in politics, today seemed a good day to discuss the common misconception people have about the constitutional amendment they so often quote as the basis for their arguments. Our founding fathers came to this country, largely because in England they were forced to attend the Church of England…by law. Whether they agreed or not, or even whether the church was teaching correctly or not, was completely irrelevant. That was the church, and that was where people were expected to go. For any who wonder why so many of us are against the influx of Muslims, this is the reason…not because we disagree with their religion, but because it is the goal of Islam to force the entire world to convert to Islam. Our founding fathers, and indeed most Americans believe so strongly in the right to choose which religion, or even the lack of a religion, we want to practice, that we are willing to fight to keep that right. This amendment is simply not negotiable. Nevertheless, the misconception comes when people misstate the first amendment, claiming that it means that religion has no place in politics. That statement is fundamentally wrong, and not what Thomas Jefferson had in mind when in 1779, he wrote the “Bill for Establishing Religious Freedom.” America was settled by people who wanted religious freedom, and Jefferson believed in freedom of religion, too. He didn’t believe that churches should be funded by taxes, thereby giving the government authority in the beliefs of the church. The bill said that “no man shall be compelled (forced) to frequent (go to) or support any religious worship, place or ministry whatsoever.” Some people were against it even then, and it did not become law at that time. It did, however, create a friendship between Jefferson and James Madison, who believed the say way. In 1784, Jefferson left for Paris, France to perform his duties as US foreign minister to France. 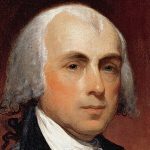 That left James Madison with the task of making the bill into law. No easy task, because it had failed on its first attempt. Undaunted, Madison presented the bill to the Virginia Assembly, and with a few minor changes, it passed in 1786. Elated, Madison sent word to Jefferson in Paris. When the bill passed, Virginia became the first state to free religions from state rule. It is still part of Virginia’s constitution. It was used as a model for other state’s constitutions. 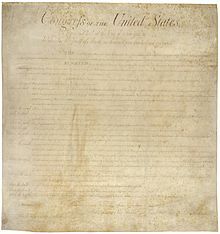 It was also used as a model for the religious language in the Bill of Rights: “Congress shall make no law respecting an establishment of religion, or prohibiting the free exercise thereof.” If people would read the Constitutional amendment and the Bill of Rights carefully, they would, indeed find that it says nothing at all about keeping religion out of politics, and everything about keeping the government out of religions. 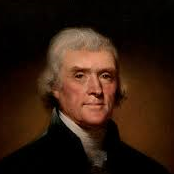 Thomas Jefferson believed the Virginia Statute of Religious Freedom was one of his greatest achievements. So strongly did he believe in his accomplishments, that he wanted his tombstone to list the “things that he had given the people.” It reads: “Here was buried Thomas Jefferson Author of the Declaration of Independence of The Statute of Virginia for Religious Freedom And Father of the University of Virginia.” Why did Jefferson want the Statute for Religious Freedom on his tombstone? It was because he could see what could happen when one religion was allowed to hold hostage the rest of the nation, or indeed, the world. That is why we will never give up the fight, and we will oppose all religions that would try to force themselves on us. People should stop using this convenient misconception to try to further their own agendas in this nation.